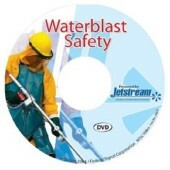 An essential training tool for anyone working in or around waterblasting, this video provides in-depth information for basic waterblast safety with emphasis on operation, pumps, equipment and applications. Medical alert card containing valuable information in the event a worker is injured by a waterjet. All individuals involved in waterjet projects are encourged to carry the medical alert card. The wallet size card contains suggestions on dealing with an injury as well as important information for the attending physician. English. Medical alert card containing valuable information in the event a worker is injured by a waterjet. All individuals involved in waterjet projects are encourged to carry the medical alert card. The wallet size card contains suggestions on dealing with an injury as well as important information for the attending physician. Spanish. Published by the Waterjet Technology Association, the manual provides advice for personnel qualifications, operator training, and procedures for the proper operation of high pressure waterjet equipment. English. Published by the Waterjet Technology Association, the manual provides advice for personnel qualifications, operator training, and procedures for the proper operation of high pressure waterjet equipment. Spanish.